Intersoft is providing well veteran services and training since 1997. Intersoft’s Laptop Chip Level institute provides chip level training as well as repair service. We provide repair service for Laptop, Desktop, Motherboard, Mobiles, Smartphone, iPad, Tablets and Printers. From 1998 INTERSOFT started Computer Hardware Chip Level Training and Networking courses. 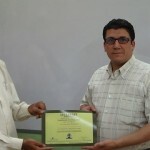 From 2008 INTERSOFT started Laptop Chip Level Training and Laptop Repairing center. Our Laptop Service Training or Laptop Chip Level Repair Center is handled by our well experienced and qualified technicians with great IT skill who diagnose quality chip level repairs. We offer cheap and excellence repair service since 8 years. Our staff is expertise in repairing all kinds problems related to computer hardware. We have technicians who are completely updated with latest version and technologies of laptops arriving in a market. They are also up to date with latest technologies arrives in mobiles, tablets, printers, desktops, smart phones and iPad. We are very good at mobile repairs too. We repair smart phones of various popular brands such as Apple, Blackberry, HTC, Samsung and many more. Intersoft provides repair service for printers too. With help of our well experienced and polished technicians we are able offer tablet repair, desktop chip level repair and iPad repair too. In all we provide Quality and Excellent repair service and training with 100% customer satisfaction.